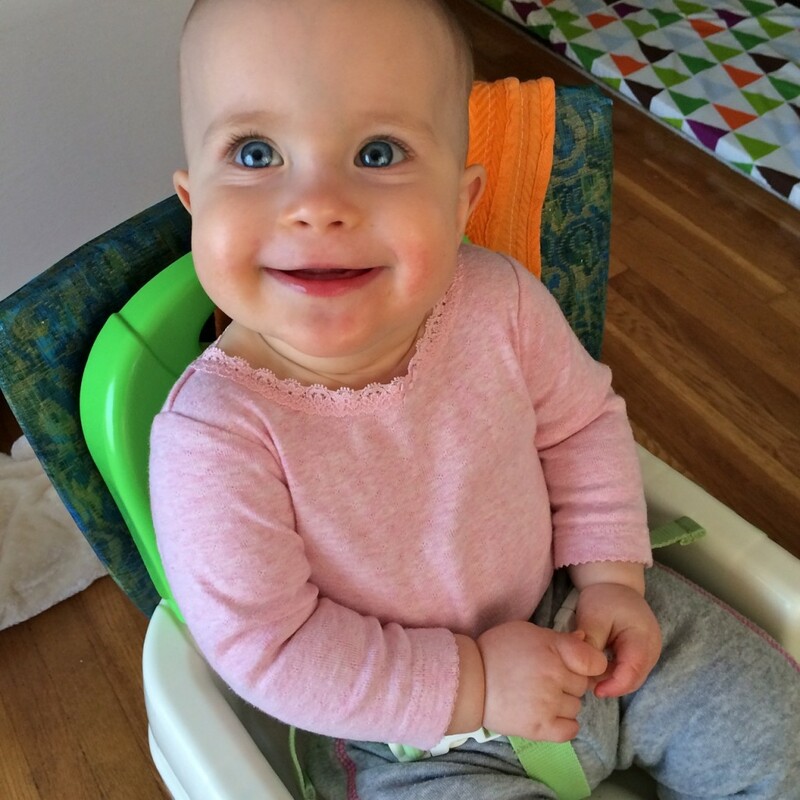 To my surprise and delight, Colette has decided she likes using a spoon by herself and she is pretty good at it! Well, not completely by herself. Zakk or I put the food on the spoon for her and then she gets it to her mouth, mostly successfully. 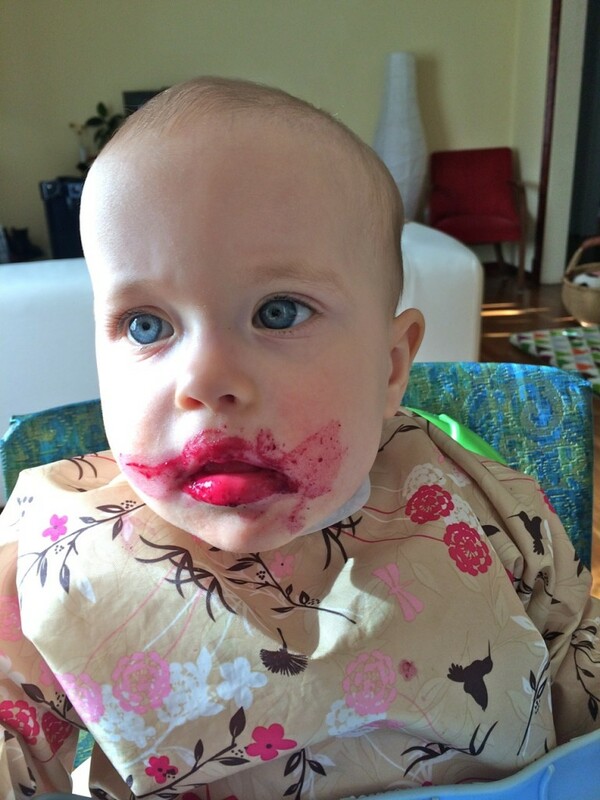 She also loves beets, blueberries, and raspberries. And I love how she looks like a clown while eating them. And here she is doing her magic disappearing asparagus act. It’s her favorite food. Seriously, she can’t get enough. And this has nothing to do with eating, but I had to share this picture I took of Colette when I got home from work on Wednesday. Apparently these are the shenanigans Zakk gets up to when I’m gone. 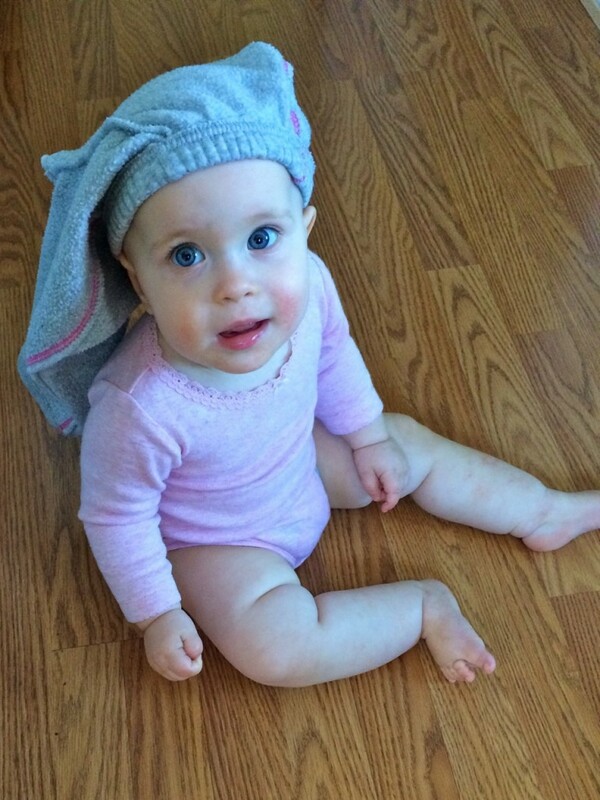 And despite her expression, she actually seemed quite happy to hang out with pants on her head. Finally, a sweet, smiley picture that I can’t get enough of. Zakk told me she was cranky on Wednesday, but then he sent me this picture. Maybe he was the one who was cranky. Love it- love it all! Thanks for sharing the videos and pics. I miss those sweet cheeks so much!!! Just like her Mama she really likes to eat!!!! Colette & Peri’s Birthday Bash Happy Father’s Day!